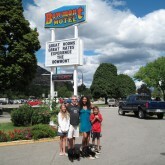 My husband, my 2 kids (11 and 9) and myself stayed at the Bowmont motel for 4 days at the end of June. We had a great time. 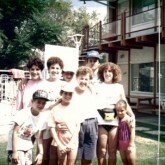 All the rooms around the yard and the pool were occupied by families and we had a great time mingling with everyone. Our kids kept on wanting to go back to the motel to play with the other kids. The hosts Christine, Dan and Mat were very helplful and pleasant. The rooms are quite basic but they are not the reason to stay there. Everything was very clean. Blocks from the Okanagan Lake and kids activity centre is across the street. The motel is very clean and family oriented with a great pool. We pre-book every year for a week with my extended family and have become friends with a number of the other visitors that also book at the same time each year. - Guest from Vancouver B.C. The Bowmont Motel continues to go above my expectations for what a Motel should be, which leads my family to keep coming back year after year. It is perfect for people of every age. The beautiful pool area allows you to sit back and enjoy the sun. I highly recomend the Bowmont Motel for any trip to Penticton. Perfect location, across from mini golf and the channel. one block to the beach, bike rentals and much more.. family owned and operated. if you need anything just ask! swimming pool amazing, new BBQ’s. private and friendly. - Lisa from Burnaby B.C. My family and I recently stayed at the Bowmont and loved it! The rooms were spacious which was awesome and the owners went above and beyond to make sure we had a great stay. My nieces loved the pool while my sister and I Ioved that it was walking distance to a great bakery and Starbucks as well as the beach, Adventure land etc. I’d stay here again in a heartbeat. Stayed at the Bowmont with friends for a short two day getaway. You are in a perfect holiday location around the corner from the beach and lots of restaurants, and within walking distance of lots of fun touristy activities including the place where you go to float down the channel. The room was small and no-frills, but very clean and the bed was super comfortable, two things that make or break a hotel room for me. The motel was full of all different kinds of people young and old, and everyone was having a great time enjoying the pool and surrounding courtyard, BBQing their dinners and eating together at the picnic tables, and everything quieted down nicely after 10 pm. The owners Dan and Christine go out of their way to make sure their guests have everything they need to ensure a comfortable stay. I would not hesitate to recommend the Bowmont to friends and family, and I would definitely stay there again. 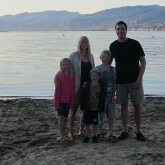 We have been traveling to Penticton for years now and love staying at the Bowmont. 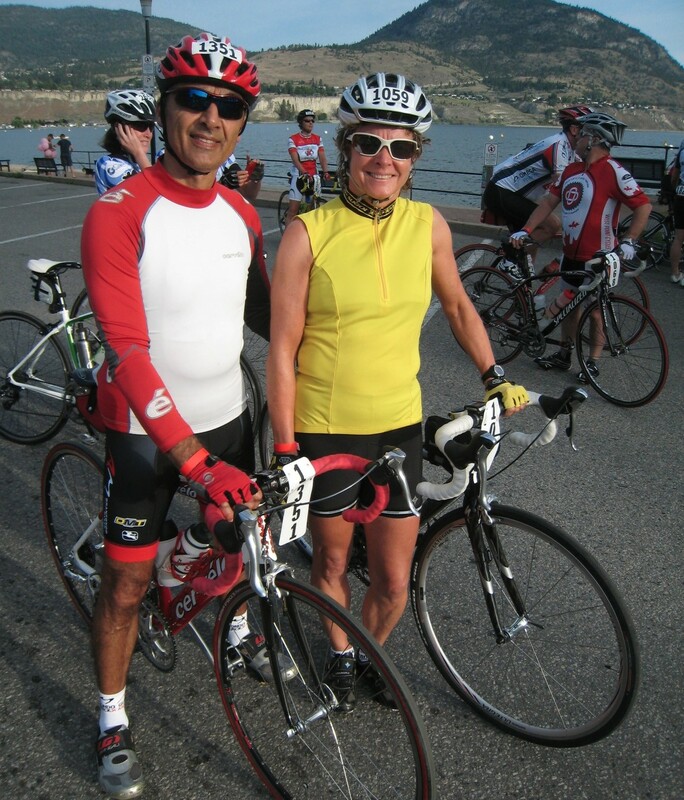 You can not get any better for location in Penticton. If you have kids, they will love being so close to the river ride, Loco Landing and the beach. At night you can stroll down the strip, go out for dinner, go for ice cream or rent a bike for the family, even sneak to the Casino for an hour or two. The court yard is great here, with the grassy area and the pool you can just relax. The lower suites have picnic tables outside the rooms so you can enjoy eating outside and enjoy the evening by playing games with friends. You just feel like family there, you meet people from all over the place and usually see them again the next summer as everyone always returns back to the Bowmont.